The dual motor NDD900 incorporates our patented Micro-Flo or Hepa-Flo vacuum bags along with a Microtex filter as standard equipment ensuring optimum filtration. 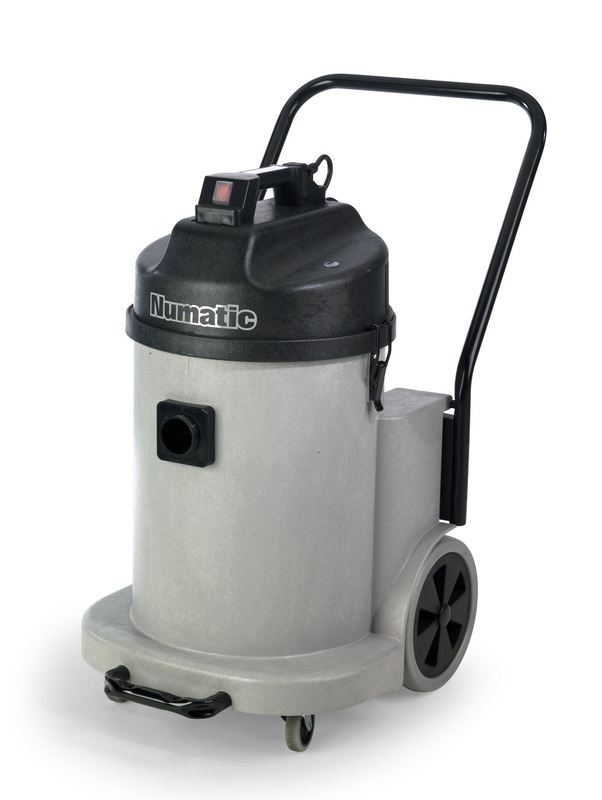 These machines are specially designed for use with concrete dust, drywall dust, wood dust and chimney soot along with just about any other fine non explosive particulate that can harm the respiratory system. They meet or exceed all OSHA regulations regarding silica crystalline recovery as a repairable dust under OSHA regulation 1910.1000. The patented air flow technology used in the design of the tank ensures a consistent uninterrupted flow regardless of how full the bag is. Both units come equipped with an indicator light that will flash when the vacuum bag is full. At the end of the day simply lift the vacuum bag out of the tank. You can now reduce the amount of dust in the air by 99% or greater with no clean up hassles, imagine the cost savings by reduced clean up time on every job you do! And by using a vacuum that didn't loose suction.